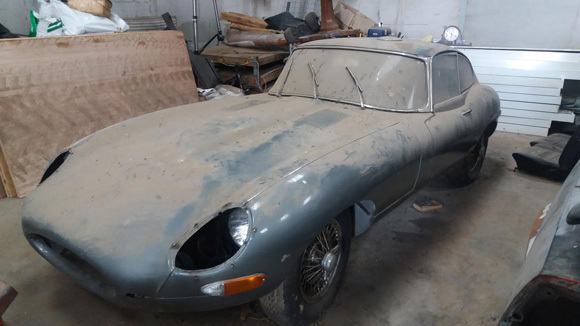 Two early Jaguar E-type barn finds, both ideal candidates for restoration projects, will be auctioned by Classic Car Auctions (CCA) at the June Sale on Saturday 18th June at the Warwickshire Exhibition Centre, Leamington Spa. The first of the pair is a 1963 Jaguar E-Type 3.8 Series 1 Fixedhead Coupe (top). Clearly a well-loved car, the first owner kept it for 30 years before it was passed on to its second owner in 1993. Driven for only two years, the car was then tucked away in a barn and has recently been discovered an amazing 20 years later. 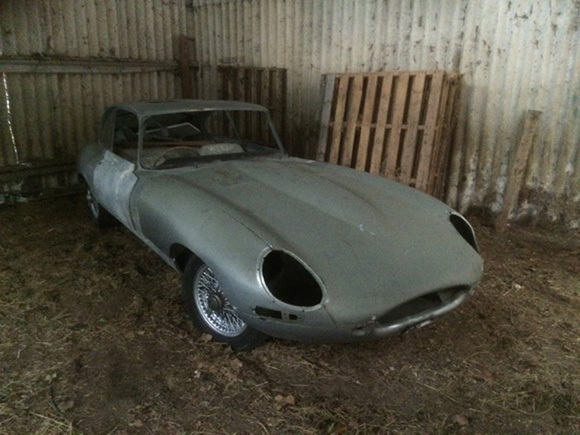 This early E-Type is an original, highly desirable, UK right-hand drive manual now in need of some TLC. Beneath the dust, this blue E-type presents in partially dismantled condition with the bumpers, headlamp covers, engine air filter and interior carpets removed. The bodywork appears to be sound with the original dashboard, glass and wheels still in place. The car now offers an exciting opportunity for an E-type enthusiast to bring it back to life when it goes to auction this month with an estimate of £25,000 to £30,000. The second E-type ready for resurrection is a 1966 Jaguar E-Type Series 1 4.2 Coupe 2+2 (above), a model which is currently increasing in value on the market. The right-hand drive, manual example with a 4-speed gearbox is an abandoned restoration project which ran out of steam some 15 years ago. The car presents today as partially stripped with the bodyshell described as solid and in good order, currently partially painted in a grey oxide undercoat. The interior has been restored at some stage and can easily be returned to good condition. Though the Webasto roof is in a poor state, the car is up on its wheels with the engine, exhaust, gearbox, and steering all fitted. The Jaguar Heritage Certificate confirms that the car was manufactured on 11th July 1966 and originally finished in Opalescent Dark Blue. The chassis number also ties up and its original registration number was 'DSO 672E'. 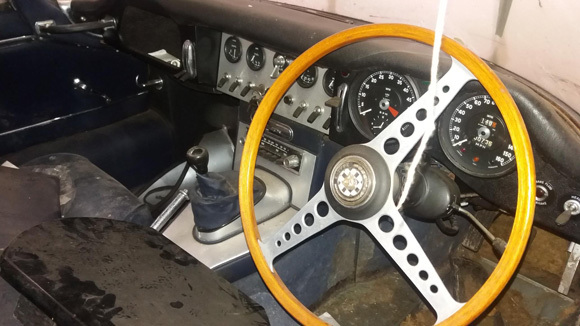 This unfinished project car comes with bags of potential and an auction sale estimate of between £12,000 and £15,000 for the ambitious prospective new owner.